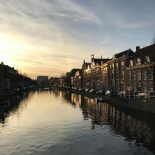 Since my own move to Leiden lies not too far in the past, I thought it would be helpful for future Leideners to hear about my experience on how to save one or the other €uro when setting up camp in this city. For this reason I decided to write a short series on my personal money saving tips and tricks, both when getting settled here and also while living in Leiden. I want to start the first part of this series with a topic we all simply can’t get enough of: housing. Obviously, the first step when moving to a new city is finding a place to live. This is something that can be a bit tricky in Leiden since (as everyone who’s living here knows) rooms for students are scarce. Most landlords are well aware of this situation and especially towards the beginning of a new semester, room prices can therefore get quite hefty. However, having observed the Leiden housing market for a good while now, I think there are ways of getting relatively good deals when choosing your new home. I believe that one of the main problems (apart from the fact that too many people want to live in this relatively small city) is that most students who come here are looking for single rooms in established flat shares. This results in a proper rush for every room available on the market and these roommate auditions that everyone loves so much. sitting opposite 3 people you don’t know, convincing them that you are veeery nice, quiet and clean? Rather than competing against a multitude of other students to convince someone to take you in their home, why not go another direction and build your own flat/house share? After doing some research I quickly realised that the offer for renting entire apartments and houses in Leiden was much better than that for single rooms. At this point many people are hesitant, and I do understand that the thought of renting out a whole place and having to find people to share it with can be daunting. However, ask yourself this question: why audition for basically any room that is on the market when you can simply team up with other people who are moving to Leiden and have much more flexibility in creating your new home? Applying for single rooms on the market will limit your influence on the choice of location, price and layout of your accommodation considerably. Setting up your own flat share, on the other hand, will give you the chance to actually move in with people that you know you like and connect with beforehand. True, renting out an entire place will be a bit more work than simply taking over someone’s room, but if you are willing to jump through a few bureaucratic hoops you could end up getting some great deals on housing and sharing them with some really lovely people. And believe me, finding people who are willing to partner up with you in the search of a house or flat in Leiden will be as easy as … errr … well … it will be very easy. Just go on ‘Leiden Housing’, ‘Housing in Leiden’ ‘Leiden House Sharers’ ‘Rooms in Leiden’ – you get the idea: one of the seemingly hundreds of Facebook/Couchsurfing/Yahoo (yes, that is still a thing) groups filled with people looking for a place to stay in this marvellous little city. Once you have your team together, you can start scouting the housing landscape for good deals (I found ‘Pararius’ especially helpful in my search). In this regard, it can be advisable to register (for free) with several agencies from around town which can help you with your search. When my partner and I planned our move to Leiden, we booked a few personal appointments with agencies and even convinced some of them to give us a ‘first pick’ option on newly listed properties (which was great because at that time we were still living in London and could not just pop over for viewings). However, as practical as this was for us, I have to add that agencies here charge a considerable fee and that if it had been possible, we would have tried to avoid renting through an agency. Realistically speaking, renting deals through private persons are very hard to find though and while the customer service of most agencies (at least all the ones I have ever dealt with) stops once the contract is signed and the fees are paid, they can be of assistance when looking for a place and also provide protection from scams. Another important point that needs to be considered when renting an apartment is to start looking for it early enough. The notice period in the Netherlands is usually two months, so if you want to move in right when you arrive, you should start looking for a rental flat at least 1-2 months before coming here. When trying to find good deals on housing, I think it is important in general to take matters into one’s own hands and show some extra initiative in order to find a place one is truly happy with. Thus, I think renting an entire apartment with a set group of people can be a viable alternative to searching for single rooms and can save you a lot of money that can be much better spent on tons of appeltaart in one of the many cosy cafés Leiden has to offer (or whatever it is that you spend your money on). Please let me know in the comments below if there are any specific things in regards to money saving tips for Leideners that you would like to know more about and stay tuned for part 2 of this series next week. Really nice article Bernie! This info is also useful for students at Leiden University College: The Hague, who in their third year have to move off-campus, either to another student housing location (De Klok) or to a flat/house. Thank goodness I ran into this post! Found myself pretty divided on where to stay. always happy to help. if you’re struggling with anything else during your move, just contact me on my FB acc. Hi! Thanks for the post. I wonder if you could give us some more useful tips- how should we search for an apartment in The Hague (facebook groups, websites ect.)? When should we come to Holland? Hi Yael. Well, living in Leiden, I am unfortunately not too familiar with the groups & websites for house hunting in Den Haag. Is there anything you’d like to know about the process in particular? Personally, I find Pararius(.com) to be really good for getting an overview of what’s out there and to get an idea of the price ranges. Regarding timing, I think that if you can do it, it’s always nice to arrive a bit earlier, have time to explore the city and familiarise yourself with your new home. I moved to Leiden in mid-August, which gave me a few weeks to deal with the bureaucracy involved in moving to a new city (BSN number, bank account, phone contract, etc.) before diving into my studies. During this time, I met students who had just arrived and not found a place yet when we met for the orientation week – they all said that this made their first few weeks quite stressful. Therefore, I would really try to get these things sorted before starting your courses at uni. I had already arranged apartment viewings from abroad so when I came here I already had some leads and people that were assisting me, I found that really helpful. Are there any agencies you would recommend or warn against? – REMAX is the biggest agency which has the most properties on offer (we currently rent through them) – however, once they get your signature, email responding times get much longer and from what I’ve heard they are a bit annoying to deal with when you have a problem with your apartment/room (which we luckily haven’t yet had). From what I’ve heard there are some “housing services” in Leiden which charge a fee and promise to find you great places. I personally would avoid paying for such a service. Good to know…Thanks for the detailed response. I’ll likely get to Leiden a semester early so I won’t have to deal with these things before the semester begins. are there any suburban or inner city areas near Leiden U like 20 or even 30 minutes ride away in bike that might have cheaper rents? I’m trying to budget my rent but the rents in Leiden is just too high. what you can look at within 20 min cycling distance would be Oegstgeest, Voorschoten and Leiderdorp. If you don’t mind taking the train into town, Sassenheim, Den Haag, Alphen aan de Rijn or even Delft would be alternative options. I’m looking for a place OUTSIDE of Leiden with a little bit of grass around me and some birds singing… You catch my drift, I just don’t want to live in a real big city… any ideas where to go and look? I’m currently living in the outercircle of Deventer (10 min @ center, 10 min@greeeeeen meadows) but heey, it’s a bit far from Leiden. I’m already enlisted at DuWO. I am moving to Leiden this fall for a study abroad program, and am still in the application process. I’m going to be working with the housing office to find accommodation in Leiden, but since that process hasn’t started yet, I was wondering if you could answer a question for me. The housing website states that the rental period for university housing starts mid-August – do you have any idea what the exact date or range of dates that could be? I know it’s a pretty specific question, but if there is a standard move-in date that would be a very helpful piece of info to have! Carolyn Barr, International Relations Officer. This entry was posted on March 13, 2015 by in Living in Holland, Practical Stuff, Student Life.